The Viper Contract "A High Tech Aviation Thriller"
Pilot Ellie Fox squeaks out a living smuggling drugs and other valuables across the US/Canadian border in her ultralight airplane. 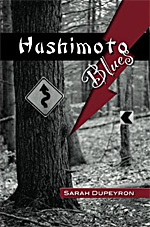 When a heist goes wrong, Ellie and Max find themselves in the sights of Kendo Hashimoto, a cruel Japanese crime lord. Bill Cary is a bush pilot living in northern Finland. When his fellow bush pilots start getting killed off in a series of suspicious accidents, Cary suspects that the events he is involved in may stem from an incident in his wartime past.